It is said that safety is not a destination but a never-ending journey. At the NTSB, we investigate accidents, make recommendations to prevent recurrences, and work for the adoption of our recommendations. The vast majority of flights take off and land safely, the vast majority of passenger and freight trains make it to their destinations without incident, and the vast majority of pipeline operations successfully move energy and other products into American homes and businesses. When anything goes wrong in any of those transportation processes, we at the NTSB are called upon to investigate and find out what went wrong and why. All of these transportation operations are part of an enormous and complex web of systems integrated within themselves, and with each other. Together they make up America’s transportation network. And behind the scenes, there are dedicated professionals working each day to take countermeasures against even the possibility of an accident. I recently had the opportunity to visit four transportation organizations in Atlanta: the Metropolitan Atlanta Rapid Transit Authority (MARTA), CSX, Colonial Pipeline, and Delta Air Lines. It was enormously gratifying to see in some of their safety measures the echoes of past NTSB recommendations – but it was even more gratifying to see proactive safety principles at work, so that the NTSB will hopefully have fewer accidents to investigate in the future. Although different in what and who they transport, MARTA, CSX, Colonial Pipeline and Delta Airlines are similar in their commitment to continuously improving safety. MARTA provides transportation for approximately 500,000 passengers each weekday using more than 338 rail cars in 38 stations on 48.1 miles of rail. This requires proper rail inspections, rigorous training and detailed-oriented work with a safety-first objective. It also requires policies that keep up with the times. For example, MARTA’s answer to today’s temptation of operator distraction by personal electronic devices is a zero-tolerance rule among its operators. And Marta means business: a leading cause for termination of MARTA’s operators is operator distraction. CSX travels different rails and moves more products than people, resulting in different, but equally important, safety concerns. CSX serves 23 states, the District of Columbia and two Canadian provinces. Its network connects major metropolitan centers in the eastern United States, and connects approximately 240 short line and regional railroads and more than 70 ocean, river, and lake ports to population centers of various sizes. According to CSX officials, last year was CSX’s safest year ever. 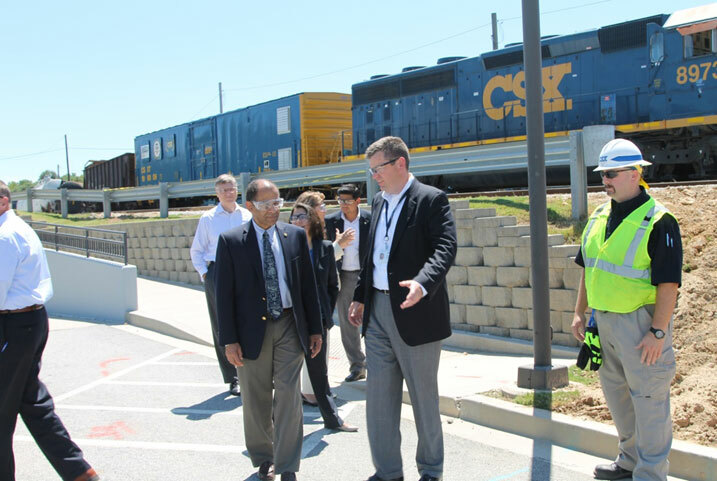 I visited the CSX REDI Center, where the railroad teaches workers to incorporate the highest level of safety in their daily routines. I was able to witness first-hand the medical screenings available to CSX employees through its wellness program, and I was fascinated to hear how CSX is looking to commercial aviation to make operations even safer. The company’s new operations rulebook, for example, is based on the aviation rulebook, adapted to rail operations. Kudos to CSX for reaching out to aviation to learn about ways that have worked for others to mitigate safety risk. Colonial Pipeline Company provides services in an often-overlooked area of transportation – the use of pipelines to transport refined petroleum products to homes and businesses. Colonial moves an average of 100 million gallons of fuel daily through its pipelines. The visit showed me some of they ways that they put safety first. Colonial knows that its own employees are not the only ones who must be ready to respond if a mishap occurs, and they showed me the emergency preparedness training that they provide for communities through which their pipelines travel, as well as their process safety approach, and their industry learning program; each has an aspect touching on pipeline safety external to Colonial itself. But I also saw a control room where Colonial’s workers monitor its pipelines’ functions all around the country. Because human fatigue is a constant concern for Colonial, employees have ready access to exercise equipment located near the control room and on-site sleep rooms. They even encourages employees’ families to engage in its fatigue training programs, so that spouses understand the importance of proper rest during the employees’ off-duty hours. Last but not least, I visited Delta Air Lines. In the early days of air travel, aviation was largely for the well-to-do. Today, air travel is mass transportation, carrying more than 730 million passengers annually in the U.S. alone. Nevertheless, airlines like Delta are in an unprecedented period of safety; a U.S. commercial air carrier has not had a fatal accident for more than five-and-a-half years. As such, Delta was an excellent place to witness the vigilance and systemic thinking that keep this safety record strong. I learned about some of their safety information programs that enable line employees throughout the company to provide feedback regarding Delta’s safety mission. These voluntary reporting programs, along with similar programs in other airlines, have contributed to the industry’s excellent safety record. A key aspect of these safety programs is that they are non-punitive. Non-punitive feedback is vital to catching small problems before they become big problems. Delta maintains a safety management system, and aggressively uses information from the voluntary reporting programs to inform the safety management process and help them find possible safety issues. What have I learned from my visits to these transportation giants? I was pleased to see how important safety is to all of them, whether they carry people, products, or fuel, and whether their transportation is by rail, pipeline, or air. But more than that, I was able to see first-hand the daily hard work that helps ensure the high level of safety evident in the transportation of people and goods throughout America. The NTSB often adds emphasis to the need for safety initiatives within both government and industry when we find lapses in the course of our accident investigations. The NTSB’s ability to find and report on any such safety lapses is part of what helps to keep America’s safety record moving steadily forward. It was truly a pleasure to meet so many people who cared so much about safety and whose safety decisions and processes are behind the scenes each time we take a seat on an airplane or train, see a freight train rolling by, or use the energy transported by pipelines. One of America’s great achievements has been the creation of a transportation network in which safety is the rule, and accidents – such as those the NTSB investigates – are thankfully the exception. This past Friday, August 15, 2014, marked the 100th anniversary of the opening of the Panama Canal, the waterway between the Atlantic and Pacific Oceans. I recently visited the Canal in connection with a meeting of international maritime accident investigators as part of the Marine Accident International Investigators Forum, or MAIIF. It gave us all a chance to reflect on just what a feat it must have been to build the Canal, and to wish her an early happy birthday. But she’s not just getting older, she’s getting better. 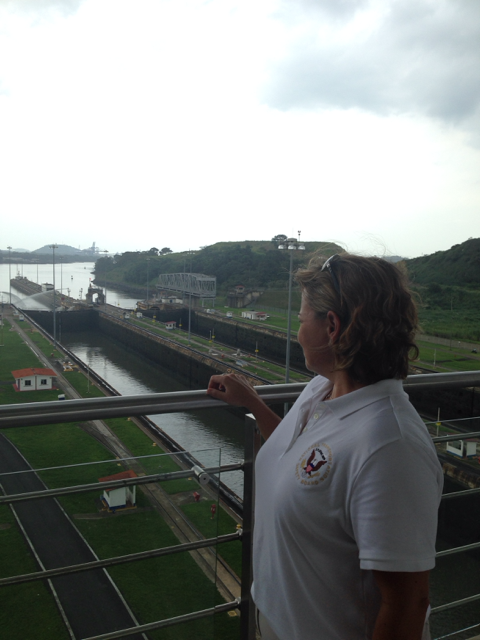 We also had an opportunity to see the work underway on the Panama Canal Expansion, sometimes called the Third Set of Locks Project. The expansion, scheduled for completion in December 2015, will create a third lane through the Canal functioning alongside the two existing lanes. 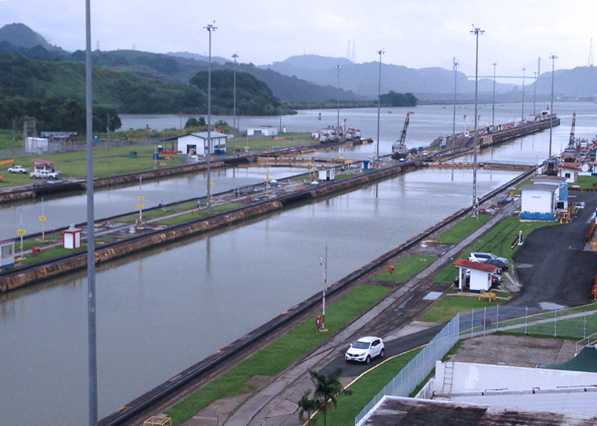 The original construction of the Panama Canal was costly, in terms of both money and lives. The French first attempted to build a canal beginning in 1881. The effort failed, and along the way cost a reported 22,000 workers’ lives. The successful U.S. project that followed saw 5,600 fatalities. Accidents, Malaria, and Yellow Fever were the culprits in both instances. During the U.S. effort, new equipment and new knowledge about mosquitoes as disease vectors helped keep casualties down, relatively speaking. But the U.S. also took a new engineering approach. Instead of crossing at sea level, as the French envisioned, ships would rise to the canal’s main lake elevation and descend again. Lock chambers would fill with water in sequence, elevating ships level by level to the canal’s main elevation, about 85 feet above sea level, then lowering them to the opposite ocean approach. As I viewed the new locks in the humid (but relatively mosquito-free) heat of Panama in August, it was impossible not to reflect on the progress that safety has made over the last century. The current construction project has had an impeccable safety record with very few accidents. It was also remarkable to take in the ambitious scope of today’s project. The Canal’s new locks will be capable of accommodating ships with greater beams, lengths, and drafts, allowing the waterway to keep pace with global shipping traffic and increasing vessel size. Present Panamax (the term for the size limits for ships traveling through the Canal) ships are built to fit through the lock chambers along the Canal’s two existing lanes, which are 1,050 feet long, 110 feet wide, and 41.2 ft deep. These dimensions limit them to about 5,000 Twenty-Foot Equivalent Units (TEUs) of cargo. The new lock chambers are 1400 feet long, 180 feet wide, and 60 feet deep. New Panamax vessels will be able to carry up to 13,000 TEUs – the size of some of the larger container ships now in use. Instead of “mules,” tug boats will guide ships through the new lane. Instead of the hinged miter gates so familiar to Canal mariners, the new lane will use a system of rolling gates, as well as a system of parallel water saving pools that will re-cycle much of the water used in the operation of the locks. But the locks are just one aspect of the project. It also includes deepening and widening the Atlantic and the Pacific entrance channels and the present navigation channels, and creating new approach channels for the post-Panamax locks near each ocean. Of course, larger ships and changes to the Canal’s lane structure make for potential new risk, as traffic and congestion in and around the canal increase. To help mitigate the risk, the Panama Canal Authority is sending their pilots to simulator training. In addition, the Authority will lease a tanker to test the new lock system and give the pilots and employees practice in using the new lane. The world has learned a lot about preventing accidents in the last hundred years. As the new locks come closer to their grand opening, I’m struck by how much more can be achieved in the years – and the century – to come. Every day, NTSB investigators rely on information from flight recorders, also known as “black boxes,” to help determine accident causes and make recommendations to prevent recurrences. That information guides on-scene work, so providing it to our investigative team as soon as possible is a high priority. The information continues to play a vital role throughout the entire accident investigation process. 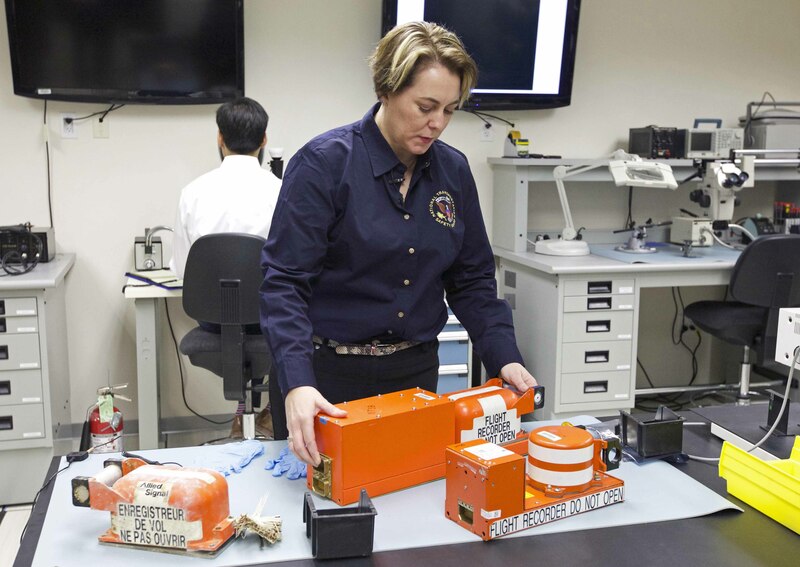 Investigator Erin Gormley prepares to access data from flight recorders in the NTSB’s lab. When a recorder is recovered from an accident site, it is up to my team in the Office of Research and Engineering to extract its data. My engineers in the Vehicle Recorder Laboratory do outstanding work. They have been able to obtain valid information from mangled, burned, and water-damaged flight data recorders (FDR) and cockpit voice recorders (CVR) time and again. Rapid recovery of these recorders and access to the vital information they contain are among our highest priorities. But no laboratory can provide this critical data unless the recorders are found. Recently, there have been a few exhaustive, expensive, and well‑publicized searches for missing aircraft and their recorders. Such events have raised serious concerns within NTSB and in other safety organizations. Currently, airliners are equipped with FDRs and CVRs that are crash‑hardened to survive fire and impact damage. These recorders are also fitted with beacons to help locate them when under water; they have a good track record in providing investigators timely and accurate information. However, there are technologies currently available and under development that may offer improvements in these areas. In recent years, significant advances have been made in recorder design, underwater and emergency locator beacon technology, and wireless flight data transmission technology. These innovations can be packaged and integrated in many ways. But to have confidence in the benefits of any products or technologies, we need to fully understand how they work, what they offer, and how current standards and regulations impact their implementation. To envision the best solutions for the future, we have to first thoroughly examine all the options. That is why the NTSB is holding a one-day forum, Emerging Flight Data and Locator Technology, on October 7, 2014, in Washington. Details about the forum will be released in early September. We will invite industry experts to the forum to discuss the technologies available. US federal and international regulators will address how these technologies could be implemented. We will invite aircraft and device manufacturers to discuss their vision for these improvements and how they will incorporate them in current and future aircraft. Further, we will facilitate discussion about data protection and use. The goal is to help the aviation community consider new ways to locate, access, and enhance flight data and decrease the time and expense involved in doing so. It is time to take a fresh look at where we are and where we need to be. NTSB’s Emerging Flight Data and Locator Technology forum will do just that. I hope you can join us in person or via live webcast for this important event. Some might say that I took the scenic route to become an investigator for the NTSB. Frankly, it’s not something that I set out to do early in my aviation career. I didn’t go to Embry Riddle, nor did I study human factors psychology or aeronautical science. Having worked for two major airlines, I quickly became interested in the safety arena of my job. I held various positions such as manager of inflight standards, cabin safety, and regulatory compliance. I developed and facilitated inflight training courses, conducted certification of new airplane types into my airline’s fleet, developed safety briefing cards, administered internal audit programs, and provided oversight of a regulatory compliance program for inflight service and much more. I was also a qualified flight attendant for both of those major airlines for 12 years. The first major airplane accident that I remember after I entered the aviation industry was in 1999, when American Airlines flight 1420 crashed while attempting to land in Little Rock, Arkansas. At that point, I became more passionate about my safety role and challenged myself to make a difference where I could every day. Just over 10 years after the Little Rock accident, I was waiting to hear back from the FAA on a safety oversight position I had applied for to further my career when I was personally reminded of why improving aviation safety had become a central area of my professional focus. On August 8, 2009, a helicopter and an airplane collided over the Hudson River and 9 people lost their lives. The helicopter pilot was a friend of mine. It was a tough week, but I heard a few days later that I was soon to become a cabin safety inspector with the FAA. The move to the FAA was a natural progression in my career. In my new role, I reviewed all cabin safety programs for compliance with federal regulations in addition to ensuring that airline employees followed training programs and procedures. I also wrote enforcement actions against the operator or passengers when applicable and conducted routine and off-hour surveillance. But, I felt like I could do more. I wanted to do more. Working for the NTSB had been a dream. Even before seeking a position with the FAA, I knew the NTSB was where I eventually wanted to land. Still, the agency had not posted a survival factors investigator vacancy in decades. After my friend’s accident in 2009, the NTSB became an ambition. Transportation accidents are tragic –lives lost, people hurt, families’ lives changed forever. But I knew out of all of the heartache, with the NTSB launching, something good could and would come of it. “From tragedy we draw knowledge to improve the safety of us all,” the words on the entrance of the NTSB Training Center and the agency’s core mission. As an aviation professional, I felt I shared in that responsibility. 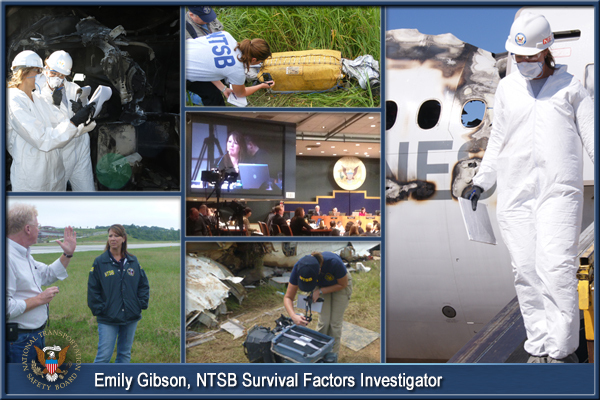 And in 2012, I would finally get the chance to make a difference as an NTSB survival factors investigator. We use our knowledge and experience in a variety of ways throughout the course of an investigation. We serve as a group chairman responsible for documenting, analyzing, and evaluating survival factors; we are a primary resource for investigations into these issues. We may conduct surveys or special studies. And we propose safety recommendations and draft testimony for Board Members. And while I may have assumed my studies in elementary education would never serve me in aviation, we give presentations and participate as a member on technical panels during public hearings on aviation accidents/incidents. Nothing prepared me better to speak in public than learning to be a teacher. In my 2 years with the NTSB, I have served as a group member on the Japan Airlines Boeing 787 Battery Fire incident in Boston Massachusetts on January 7, 2013, Asiana Airlines Boeing 777 accident in San Francisco on July 6, 2013 and the UPS Airbus 300 accident in Birmingham, Alabama on August 14, 2013. My desire to make a difference in the aviation community is coming to fruition, and I’m just getting started. My job is rewarding and even though I landed it in a less than traditional method, I’m sure glad I did! Every year, the NTSB publishes its Most Wanted List – a list that highlights various safety issues identified through NTSB’s accident investigations and studies. The NTSB Most Wanted List is designed to increase awareness of the most critical changes needed to reduce transportation accidents and recommend safety solutions for achieving our goal of ZERO transportation crashes, injuries and deaths. We unveiled our recent list on January 16th. And now, seven months later, it’s appropriate to assess the progress that is being made in these areas and what still needs to be done. In 2014, the NTSB first specifically focused on the unique characteristics of helicopter operations. Over the last 10 years, we have issued over 200 recommendations on helicopter issues calling for such improvements as safety management systems and access to training that includes scenarios such as inadvertent flight into instrument meteorological conditions and autorotation. By placing this issue area on the Most Wanted List, we want to increase awareness among, and instigate action by, key stakeholders. One of the direct results was that we were invited by the helicopter industry to provide a half-day seminar on recent accident investigations at the annual HAI Heli Expo in February in Anaheim. 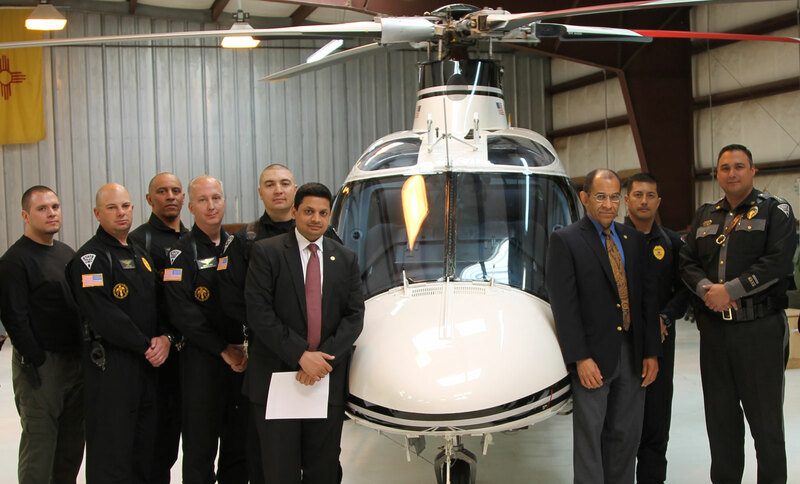 In May, Acting Chairman Hart had the opportunity to learn about improvements made by the New Mexico State Police (NMSP) following the June 9, 2009, crash involving a NMSP helicopter, which he highlighted on the 5th anniversary of that crash. Because general aviation accidents represent the largest segment of our aviation accident investigations and fatalities the NTSB has called attention to general aviation safety through the Most Wanted List for many years. This year, we focused on the role that hazardous weather identification and communication play as a frequent cause or contributing factor to general aviation accidents. In March, NTSB staff highlighted this issue by exhibiting at the annual Communicating for Safety conference hosted by the National Air Traffic Controllers Association. Presentations at the annual Sun n Fun International Fly-In and Expo in April and the EAA AirVenture Oshkosh event in July also addressed the need for improvement in hazardous weather identification and communication. Six weeks ago, we commemorated the 5th Anniversary of Washington Metropolitan Area Transit Authority (WMATA) Ft. Totten accident; we were reminded of why it’s critical to promote operational safety in rail mass transit (light rail, commuter rail, and subways). That accident was a watershed moment for mass transit rail operators, and in particular, WMATA. As a result of the lessons learned from this and other rail mass transit accidents we have investigated, we’ve issued a number of safety recommendations to promote the development of system safety programs, and we continue to issue recommendations and encourage improvements. Since January, NTSB Members and staff have met with operators (Miami Dade Transit), regulators (FTA), and associations (APTA) to discuss what they are doing and what they can still do. 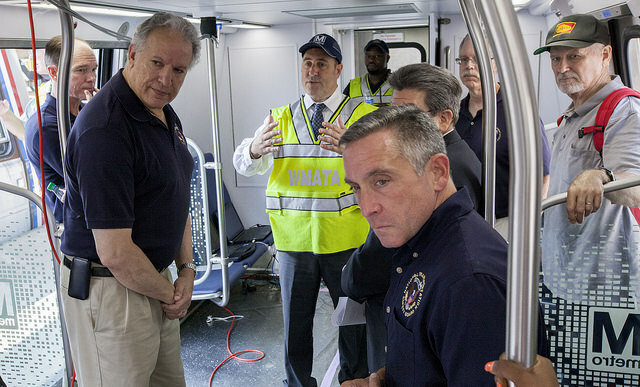 We’ve also had the opportunity to see how WMATA has changed, including the unveiling in January of WMATA’s new 7000-series railcars and a more in-depth tour of these cars in July. These new railcars offer improved crashworthiness that will preserve survivable space in the event of a catastrophic collision. And NTSB investigative work and recommendations spurred congressional action to provide WMATA with the long overdue resources necessary for WMATA to make this and other changes. Almost 95 percent of transportation deaths occur on the highway, so several Most Wanted List issue areas emphasize much-needed improvements to drive those numbers down. This includes critical issues such as substance-impaired driving, distraction in transportation, and occupant protection. About 10,000 traffic deaths each year involve an alcohol-impaired driver. Use of cell phones and other portable electronic devices, including use behind the wheel, continues to increase, leading to crashes, injuries, and deaths. These astounding facts make promoting our recommendations for preventing these dangerous behaviors critical. But in the event that a crash does occur, strong occupant protection can mean the difference between life and death. 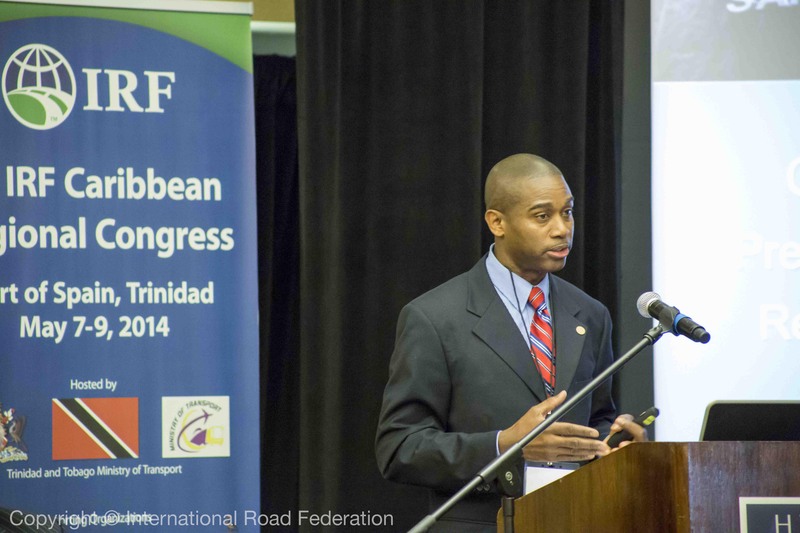 NTSB staff had multiple opportunities to advocate for these issue areas through our presentations at the annual Lifesavers Highway Safety Conference and the International Road Federation’s 3rd Caribbean Conference. Over the last seven months, our Board Members and staff have been in the forefront giving presentations, attending conferences, writing letters in support of legislation, attending press conferences, and meeting with organizational leaders to develop stronger safety practices throughout the transportation community. Why? Because ultimately it is up to transportation industry, regulators, manufacturers, Congress, state and local officials and even the public to take action on our recommendations or identify better solutions before the next accident. Not only do we need to conduct thorough investigations and comprehensive safety studies, and issue sound, meaningful safety recommendations, we need to educate and lead people to make the changes we’ve recommended. That’s why engaging with so many stakeholders, to share the lessons learned from our accident investigations and studies and improvements needed across the transportation industries is imperative to bringing about life saving safety improvements. Each year presents an opportunity to promote a new list of transportation safety improvements. In addition to these issue areas, we have worked tirelessly to draw attention to steps that will advance passenger vessel safety, enhance pipeline safety, improve fire safety in transportation, and implement positive train control systems. Improvement and progress may not be instantaneous, but we are committed to the work needed to reach our ultimate goal – ZERO transportation crashes, injuries, and deaths. Last week, the Board met to discuss and adopt a report on a derailment and hazmat release that occurred in Paulsboro, NJ. On November 30, 2012, just as commuters were heading to work and parents were getting children ready for school, a Conrail train derailed four cars while crossing a bridge over a creek near the center of town. One tank car was breached, releasing about 20,000 gallons of vinyl chloride and creating a vapor cloud that engulfed the scene immediately following the accident. The first 911 call came from the home of Paulsboro’s Deputy Fire Chief, which is located right next to the derailment site. The Deputy Fire Chief then established a command post at his residence, about 50 yards from the ruptured tank car. Arriving units congregated there, within the vinyl chloride cloud. Nearly 6 hours passed before the command post was moved to a safer location away from the derailment. Paulsboro is a town of approximately 6,000 people in southern New Jersey, located across the Delaware River from Philadelphia International Airport. The Paulsboro Fire Department is an all-volunteer department with about 25 members. This was a once-in-a-career event for the Fire Chief who took command of the incident, as it would be for almost any fire department. And, I have no doubt that he was confronted with the need to quickly make a series of critical decisions in a chaotic situation. Unfortunately, however, NTSB found that emergency responders were unnecessarily exposed to this hazardous material. As a long-time volunteer firefighter in Bethesda, Maryland, that finding hit home for me. Within minutes responders had information that the leaking tank car had a placard with the number 1086. A quick look at the Emergency Response Guide would have told responders that the product was vinyl chloride with a recommended evacuation zone of a half mile. The chief may have been receiving other confusing and incomplete information, but this one fact should have prompted him to move the command post and limit access to the derailment site. An effective response to any major incident really begins long before the bells ring. Effective pre-planning is critical for a successful operation, especially a large, complex operation such as this derailment. Firefighters must make contact with the important facilities in their first-due area. If you are meeting the factory manager for the first time when his factory is on fire, that is too late. Likewise, departments with rail operations in or near their first due area must reach out to the railroad to arrange a tour or briefing. Paulsboro had not done this, which led to confusion and miscommunication. Last weekend, I responded to a report of a large propane tank leaking outside a residence in a neighboring jurisdiction. 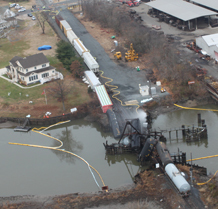 Clearly this was an incident of different magnitude from the Paulsboro derailment. But, the operational principles don’t change. Control the scene, identify the hazard, and the resources necessary to deal with it. Call for help. In this case, the officer on the first-arriving engine company quickly recognized the size of the leak, determined that all occupants were outside the residence, and told incoming units to stage a safe distance away from the scene, based on the ERG guidance. And then, with the scene stabilized, they waited for the hazmat team to arrive and mitigate the issue. While the Paulsboro incident was far larger and more complex, following these basic principles would have improved the outcome. Volunteer firefighters face unique challenges in keeping up with training. It can be time-consuming, imposing upon the rest of our lives. But, for their own safety, all firefighters should meet the basic training standards outlined in NFPA Standard 472. It is often said in our station that “the fire doesn’t care” whether you are career or volunteer, whether you are a rookie or seasoned veteran, or anything else. The same can be said of hazardous materials. As NTSB’s investigation of this accident showed, every department, regardless of its size or budget must prepare and train for the hazards that it might face.